Earlier, it was revealed that the Mohanlal starrer Neerali will also feature a song sung by the much loved star of Mollywood. Some of the pictures from the recording session of the song did also gain attention in the social media. Now, the makers of Neerali have released the first video song of the movie, which in turn is the number sung by Mohanlal and Shreya Ghosal. The song Azhake Azhake has been penned by PT Binu and has its tunes set by Stephen Devassy. The 3 minutes 55 seconds long song is an enduring duet song and both Mohanlal & Shreya Ghosal have done a commendable job. The song has some good visuals and features some of the sequences from the film. 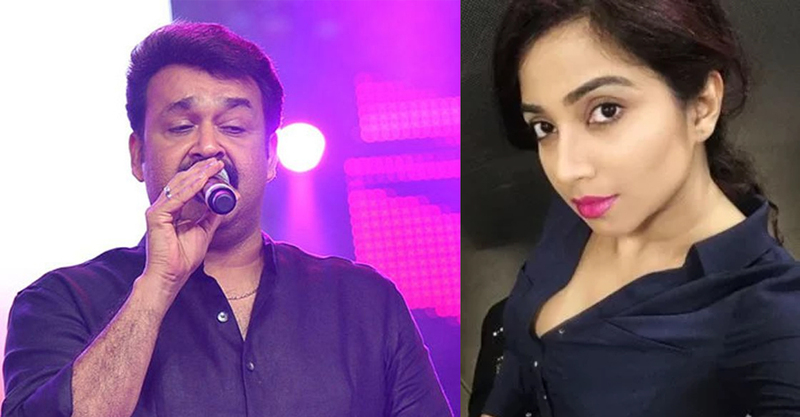 Mohanlal, Nadhiya Moidu, Parvati Nair, Suraj Venjaramoodu, Dileesh Pothen etc., could be seen in the sequences of the song. At the same time, the audio launch ceremony of Neerali was also held this evening. Meanwhile, the audiences are eagerly awaiting for the big release of Neerali. The film has been directed by Ajoy Varma. Mohanlal will be seen playing the role of a gemologist named Sunny George in the thriller.